With soft curves, luxe cushioning and clean lines, the E300 lends an elegant twist to the modern sofa. In addition to the design and quality that Stressless sofas are famous for, the E300 is equipped with the Stressless patented ErgoAdapt® system. Created by Stressless, ErgoAdapt allows the cushion of the sofa to tilt down automatically the moment you take a seat placing your body in the perfect sitting position. The brilliance of ErgoAdapt is that if you prefer to lie down on your sofa, the cushion automatically elevates to a flat position, placing your body in the perfect lying position. The refined lines and sculpted proportions make the E300 the choice of those desiring very best of modern Scandinavian design. 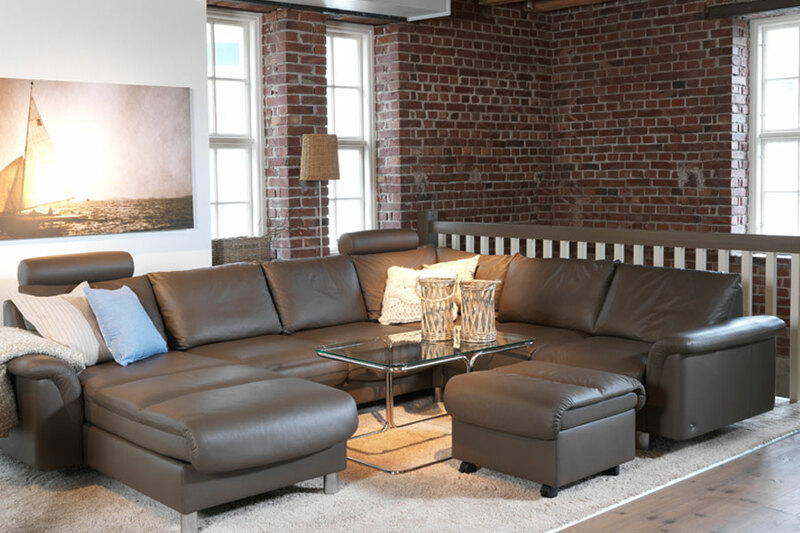 With the Stressless E300 you can choose between different back cushions and from our large range of colours in leather. The soft back cushions are filled with a mixture of shredded foam and down, which is malleable and provides good support when sitting on the sofa. Like all down cushions these must be regularly banged/shaken into shape. Textile back cushions should be turned regularly. 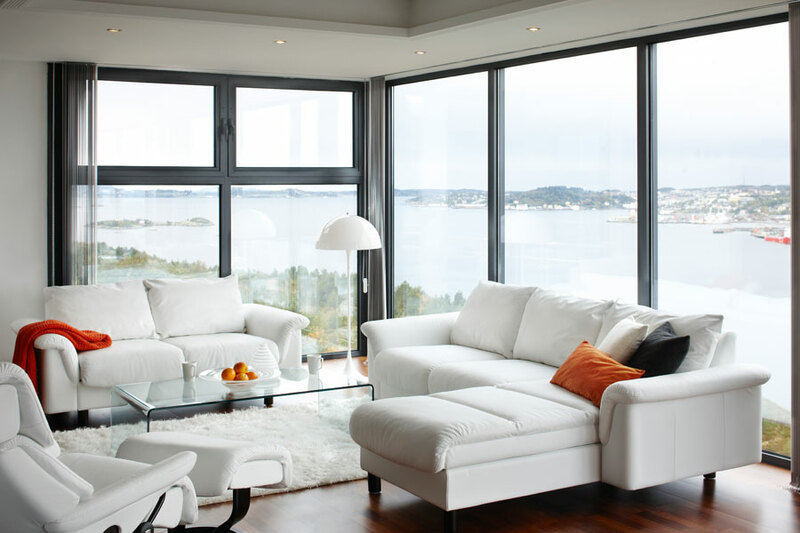 Stressless is one of the most famous comfort furniture brands, and the Stressless E300 is manufactured by Ekornes in Norway. 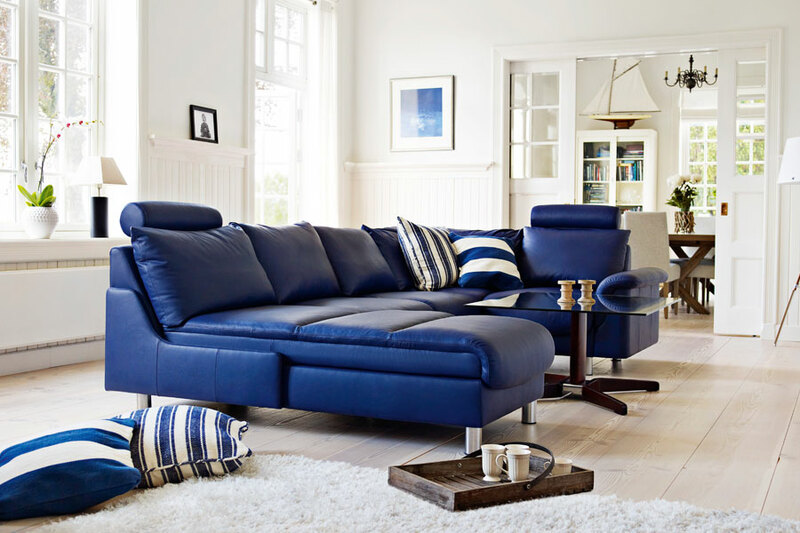 The Stressless reclining leather sofas have been manufactured for nearly 20 years, and we are continously working on improving every detail of our recliner sofa products. Take the Comfort Test at one of our many retailers and experience the difference a Stressless makes. 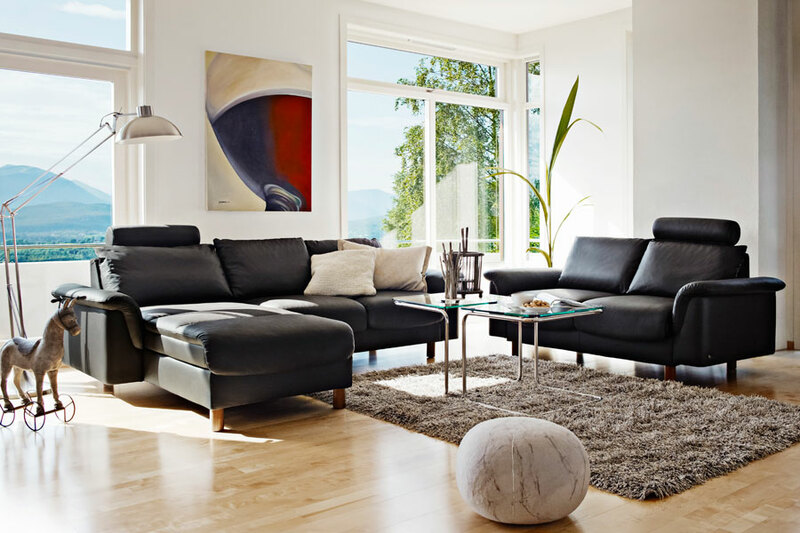 Our patended innovations are only found in Stressless comfort furniture solutions.